(From Sony lens literature) High performance and a compact design make the SEL-35F18 prime lens an ideal second lens that's easy to carry around while capturing the action. It's perfect for a wide variety of photos, including snapshots while strolling, night shots (thanks to the bright maximum aperture) and portraits with beautifully defocused backgrounds. Newly-designed optics reduces spherical aberration and coma for sharp images even when shooting wide open. Combined with built-in Optical SteadyShot image stabilization, your photos and videos will be crisp, clear and blur-free. I bought this lens as an additional for the kit power zoom, and it delivers image quality way above the kit one. 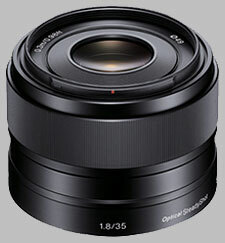 Although price may be a bit steep, i think it is still a good buy with OSS and relatively fast (f/1.8) aperture. Focusing ring is a bit weird for me, as i have to exert a lot of power to spin the ring. Some people might like it, but it's not my cuppa. Stablisation works well especially in darker conditions, but do not be overly dependent on it. I heard Sigma has announced the 30mm f1.4 DN C and i think it is also worth a look at considering faster aperture at the absence of a stabliliser. Super sharp, rich color, fast quiet focus. no marking on lens, none at all. Compared it to Leica prime. Will sell the leica ASAP. This is sharp, excellent contrast, rich color, may be too rich for Leica fans.